Flat-tailed horned lizard remains unlisted! 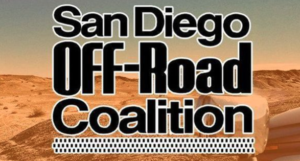 December 16, 2016—SAN DIEGO — Off-road enthusiasts are hailing the California Fish and Game Commission’s decision on Thursday [Dec. 8] to reject an environmentalist group’s petition to list the flat-tailed horned lizard as an endangered species. The commission determined that the species is “not at serious risk of extinction or endangerment” due to the various threats identified in the Center for Biological Diversity’s petition and a subsequent Department of Fish and Wildlife report. The commission’s decision lifts permit restrictions against large-scale organized events that were tentatively in place at Ocotillo Wells State Vehicle Recreation Area pending the petition’s outcome, said Ed Stovin, president of the San Diego Off-Road Coalition. As a result of the petition’s filing in mid-2014, and the subsequent OWSRVA permitting restrictions, the coalition had to relocate two of its annual poker runs to Superstition Mountain. Stovin’s also holding out hope that organizers of the Tierra Del Sol Desert Safari off-road Jeep excursion can return to OWSRVA this year, although the fast-approaching March event may not allow park officials enough time to process the event’s permitting. “I hope they might make an exception,” he said. The state Fish and Game Commission’s decision had followed a 90-day review of the DFW report containing the “best scientific information available” about current and potential threats to the lizard’s existence, which includes predation, off-road activity, climate change and land development, to name a few. The 71-page DFW report also notes that voluntarily improving existing land management strategies and species monitoring and conservation efforts on public and private land could potentially have beneficial impacts no different from having listed the species under the state’s Endangered Species Act. Although the CBD was not caught completely off-guard by the commission’s decision on Thursday, a CBD official expressed some satisfaction that the state’s decision leaves open the door for the DFW to re-evaluate the species’ status in three to five years. “If the data indicate a change in status is warranted, the department should prepare the appropriate document to address the newly acquired data,” the DFW report stated. The CBD petition had cited agricultural, energy and urban development as contributing to the species’ habitat and population decline, and recommended limitations on off-highway vehicle as well. Without ESA protections, the perceived threats to the lizard will likely lead to population declines, said Ileene Anderson, CBD biologist. “I suspect that may be the situation based on the data about impacts to habitat that we did have,” Anderson said. Although she commended the report’s substance and thoroughness, Anderson said she felt that too many potential outcomes remain unknown and deserving of additional caution. “We felt (the commission) should’ve erred on the side of protection for the species,” she said. Locally, the flat-tailed horned lizard is found on both sides of the Imperial Sand Dunes Recreation Area, as well as in the Ocotillo Wells area near the Salton Sea. California itself is one of the species’ strongholds, although its range extends east of Yuma, and south into the Sonoran Desert of Mexico as well. The CBD had petitioned the state Fish and Game Commission to list the flat-tailed horned lizard as endangered after a 20-year attempt to get it listed under the federal Endangered Species Act had ultimately failed in 2011. Similarly, a separate environmental group had unsuccessfully petitioned the state FGC in the late 1980s to list the lizard under the California Endangered species Act, Anderson said. The species and habitat monitoring that are currently in place are robust and include the participation of a number of state and federal agencies that make up the Interagency Coordinating Committee and the Management Oversight Group, said Stovin, who spoke publically against the potential ESA listing at Thursday’s commission hearing in San Diego. “They’re really doing an awful lot for the lizard,” he said. Staff Writer Julio Morales can be reached at 760-337-3415 or at jmorales@ivpressonline.com.